You will love Across the Universe, and Au Revoir Crazy European Chick sounds so awesome! Enjoy! Man, I for reals need to read Across The Universe. ALSO? I love that Au Revoir Crazy European Chick cover. It's so bright. It is super bright! And I kind of love it. 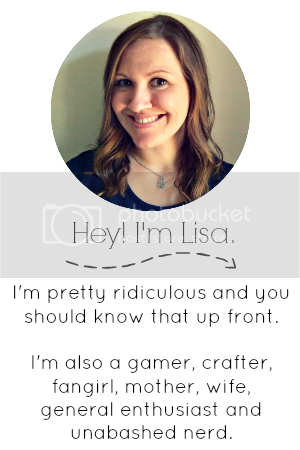 OMG PicMonkey looks awesome! I just spend way too much time playing around over there. Still haven't read Across The Universe but I hope to really soon! Here's my IMM! I never heard of the other one.. I'm gonna look that up, possibly add to my forever growing list. I would love to read Across the Universe. That is the second book tho. So, I am still missing the first. I read Across the Universe. I think Shannon and I are the only people who didn't love it. I will be curious to hear what you think. Happy reading my friend!! Across The Universe is FAB - hope you enjoy it!! ATU! Hope you like it! I hear the sequel is even better, which is good because I didn't love ATU. I had started reading Au Revoir at one point, put it down for some reason, and never came back to it. I need to get to that, lol. Good to know - thanks, Jess! EC is super fun! Thanks for stopping by! I own two copies of ATU and I still haven't read it. I know, I'm terrible. Soon, I say, soon! I have Across the Universe sitting on my shelf all sad and neglected...really need to get round to reading that soon! Ugh. Across the Universe. Let me tell you, I halfway hoped the entire ship would implode in the first book. Amy and Elder are terrible characters. I hope you enjoy it, though, the second one is much better. 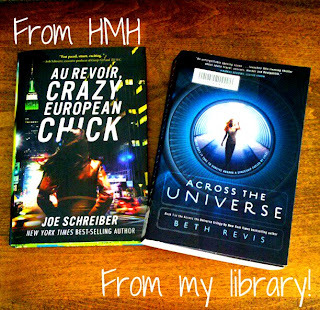 I haven't read either but I want to read the Au Revoir. It sounds really fun and an eensy bit zany. Hope you love it!